Posted Fridays: Feb. 2, 9, 16, 23, Mar. 2, 9, 16, 23, 30, Apr. 6, 13, 20, 27, May 4, 11, 18, 25...and weekly until the migration is complete! The migration is reaching the end! The record numbers of monarchs reporting during the past two weeks show the population is building. Play the animated map back and forth to see the impact! Also this week: A true survival story... >>. Just a short update today to share the latest monarch migration maps and data. Take a closer look at the map today. Have the monarchs been seen in their entire range? Where will they be sighted next? 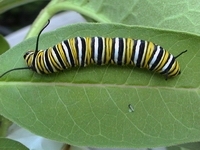 Explore and read the comments of monarch spotters as the next generation is finding milkweed to begin the life cycle once more in the north. Dangerously cold! The migration froze in place this week. So did fresh spring flowers and tiny green leaves as freezing temperatures moved across much of the monarch's breeding range. How were monarchs effected by this record-breaking cold? Also this week: Answers from the Expert, an interview with Dr. Brower —and the egg-count from Ms. Monarch! Take a look at the map! It was a warm week and the migration advanced another 300 miles! It's been an unusually warm spring in the Midwest and the monarchs moved in early. Explore how migration and temperature are related. The monarch's spring migration is unusual because it takes at least two generations to complete. When will the new generation be born and continue the journey that their parents began? The butterflies advanced nearly 250 miles to the north and 200 miles to the east this week, in the most dramatic move of the season. Every spring we rely on hundreds of observers to track the monarch's migration. These observers expand the eyes and ears of scientists in ways not possible before — does everybody know a monarch when they see one? Let's practice butterfly identification! The migration has moved into two new states — Louisiana and Arkansas! Monarchs are mostly GONE from the colonies now, and scientists are following them northward to find the pathway across Mexico. Hummingbirds arrive each spring at the same time monarchs do. Although one is a bird and the other a butterfly, they are heading north for the same reasons. What can we learn by comparing their migrations? The monarchs are pouring out of Mexico now and they're trickling into Texas. The migration's leading edge has reached 30N. Where do you think they will appear next? New Mexico? Oklahoma? Arkansas? (You might be surprised!) This week: Why do the monarchs travel where they do? What drives the pace and direction of the migration? Here come the monarchs! Spring migration begins every March in a flurry. The monarchs are in a race against time. They can't stay in Mexico any longer — but they can't move north too quickly either. The timing of their spring migration must be precise. How do they know when to leave, and why do they go now? It's too early for spring migration, but monarchs are on the move! They are spreading down the arroyos in search of water. These early signs of colony break-up mean the wintering season is coming to a close. Monarch butterflies have been in Mexico since November. Can they survive all winter with little or no food at all? Let's explore! It can be warm during the day at the monarch's winter home in Mexico, but at night it's as cold as the inside of your refrigerator! Most people are puzzled when they hear this. Why do monarchs migrate across the continent to spend the winter in a place that is cold? This week, a trip inside a monarch colony to see how the cold affects the monarchs—and how the forest protects them. Why do Monarchs fly to Mexico from across the continent? Each week we're exploring a piece of the puzzle. It's the dry season there now. Where can Monarchs find the water they need? "I have a series of pictures that tell a neat story," begins Dr. Lincoln Brower." Welcome to Journey North's spring's migration season! It's been three months since the first monarchs reached their winter home in Mexico after their long, fall migration. How many monarchs survived the trip? Today's report explores that important conservation question. Read on! Welcome to Journey North's spring monarch migration season! 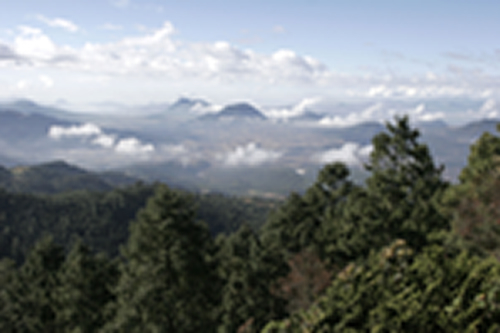 Winter >> We begin each year while the monarchs are still at the overwintering sites, deep in central Mexico. The monarch’s story of survival during the winter months in Mexico is as spectacular as their incredible migration. 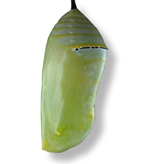 During the first weeks, we’ll look at the monarch’s winter habitat and their adaptations for survival. Spring >> Get ready to track the migration! The monarchs head north in March. Find out how to report your sightings and track the migration on real-time migration maps.